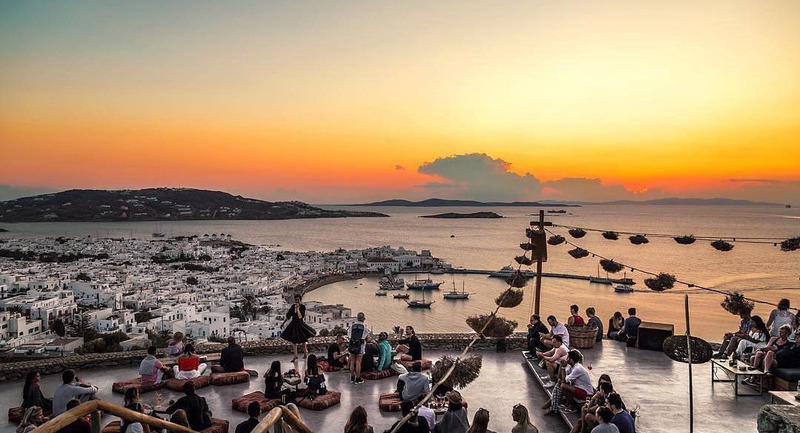 180º sunset bar-Mykonos, just up to Chora, is exactly what its name suggests! First of all, it brings something that is missing from the “puzzle” of the island: a relaxation lounge spot dedicated exclusively to sunsets. Inspired cocktails and quality drinks coexist with a modern, relaxing space and chill-out music with a result that fascinates. And all this with the magnificent views of Delos.